Hiring Moser Architects was one of the first, most important, and best decisions we made in building our house. The light and architectural beauty in our home make us happy every day. Sarah was a committed, wise, and tireless partner throughout the design and building process. Even better, she brought pragmatism and a great sense of humor to each call and meeting with us and with the wonderful builder she recommended (she helped connect us with several excellent possible builders, then we chose among them). 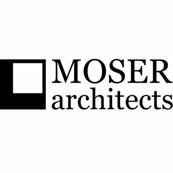 We cannot recommend Moser Architects more highly.